Writer/director Jason Bognacki has been impressing us with his work for a number of years, most recently with the neo-giallo Another (trailer). For a follow-up, Bognacki has turned his sights to a short film project which will be making its world debut at Fantasia. 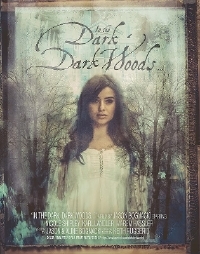 Described as "a wondrous gothic fairy tale about a love story that goes horribly awry," In the Dark, Dark Woods... certainly looks like its right up my alley. The short teaser is beautiful, haunting and though it doesn't indicate anything about the plot, it certainly meets the requirement of impressing enough to make me want to see the project. Clocking in at just under five minutes, In the Dark, Dark Woods... will screen as part of the International shorts program on Sunday, July 30. More details at the Fantasia website.